Leave me a message here. Hello. About your reupload, there was no reason to revert such an image because of a "bigger file size". That revision actually had unofficial changes and color adjustments made to it. If you look at the previous revisions, it was continuously reverted because of those unofficial changes. The second revision from the bottom is the official version: it should be reverted back to that one and no further changes should be made. The resolution is the same on both revisions: the extra file size has little to do with the quality of the image. The only thing which has made that file larger was the redundant color adjustments. Even though her colors may appear to be "more correct", the original palette was the official one, and the fanbase shouldn't adjust that to satisfy what they believe to be more correct. Thanks. Just say princess daisy was in issues 2, 27 and 28. 2 because it says it had super mario land in it. Say, "Daisy could have appeared in issue 2 since it revolved around Super Mario Land, her home game"
27 at the end and 28 at the beginning since they had mario party 3 in it. Say, "Daisy could have possibly appeared at the end of issue 27 and beginning of issue 28 due to her prominent role in mario party 3, which these two issues revolve around." Just say she possibly could have been in those just so they shut up about having that as a section. Also, please note that daisy appears in the STREET PASS MII PLAZA where she has a puzzle swap for mario tennis open which she is in!! thanks for turning the haters into supporters! i would help but i can't. so do this stuff for me please!! To start off, the intro was already rather padded. It had a lot of information that would later be repeated in the article, and deleting bits of it streamlines it more while losing absolutely nothing, since everything that's deleted is already found in a more inclusive section. Also, in my opinion, that quote demonstrates very well Daisy's personality. The way the clothing/appearance section is written now is god-awful. There's no other way of describing it. As described in MarioWiki:Good writing, the sections are very clearly demonstrating flowery writing, stuff that sounds like it belongs in a novel. Now, that's good for a novel, but we're a wiki. We don't write like a novel. We don't need to specify every single little detail about her attire. Also, I don't really see why saying "sky-blue" instead of "sapphire-blue" is "literally stupid". I did not revert your reverts simply because I think that articles need to be small. That's something that's not only completely uncalled for, but completely false, and the same applies to you saying that I don't care about the article's quality. The reason that I started the denomination in the first place isn't just so that I can cackle evilly while I ruin the article; I pointed out some noticeable flaws in the article, flaws that other users agreed on. I am bringing attention to the article's problems so that they can be fixed. The things that you reverted were among the problems that I listed. They were changed for a reason, and as it stands, it's better changed than not. Also, it's barely been an hour since the nomination even started. I have homework that I need to do, I have other projects on the wiki that I started beforehand, and I have plenty more on my plate, so please don't immediately jump to the conclusion that I'm some lazy jerk. I understand that you care a lot about the article, but please, there's really no need to be so aggressive towards me, or anyone. You have to realize that these edits were done in good faith, and there was absolutely no malicious intent with them. Everyone's trying their best to work towards improving the article, and bringing it back to the way it was beforehand is not going to improve anything. Hello, I'm Time Turner. Just to let you know, Baby Luigi replied to your comment on my talk page. If you two would like to discuss together (preferably not on my talk page), that'd be great. Hello, I'm Time Turner. That was an exaggeration but my point still stands as you clearly said we're "butchering" and "destroying" her article, which is a wrong attitude to have around here, because this site is free to edit with any person any time, technically, especially when standards and policies change. I don't think the unfeature person has anything against the subject content, because he realized the content of the article sucked, while very possibly over-looking other flaws other featured articles have. And what the heck is a light straight against a normal straight? They're all straight! Plus that Wario sprite is 100% sprite. Sure, I'll check it out later today and get back to you. Character section describing how they're portrayed in the shows. That doesn't change the fact that there are several examples of us doing that sort of thing, both past and present (and more than likely more than I have listed there). I also disagree with one of your previous edits; I fail to see how the trophy appearances are "jumbled" when there are literally three paragraphs describing her trophy and sticker appearances in each game, and we don't need to divide it into sections when the only thing they say is that in addition to "oh yeah daisy's colors are also a costume" three times, which is completely unnecessary and can be summed up in one sentence. I also fail to see how I "misdescribed" Peach's Melee costume. I'm pretty sure the Trophies and Stickers are obtained like most of any others, which I don't feel is particularly worth mentioning. I also mentioned the hair and crown in the context of the alternate color throughout the series rather than just the first game, since as you should no doubt know her hair and crown are recolored in every installment alongside the dress; the only thing I really got wrong was the slight changes to the crown alongside the dress in Melee, which I didn't mention at that point in the sentence. I could also argue that keeping the sections seems gaudy, since they mention the same thing three times. I could also argue that listing off what the trophy describes is unnecessary; if you want to see that, then go look up the list of trophies and Ctrl + F to find it. Finally, the goal wasn't to remove information; it was to present it in a more concise manner and cut out anything unnecessary. Again, if you want to see the actual information on the trophies, look it up on the bios section or look up the list of trophies and Ctrl + F. Otherwise, all we really need is what the trophy is; we don't give a concise version of her bios from other games in other sections, what makes this so special? 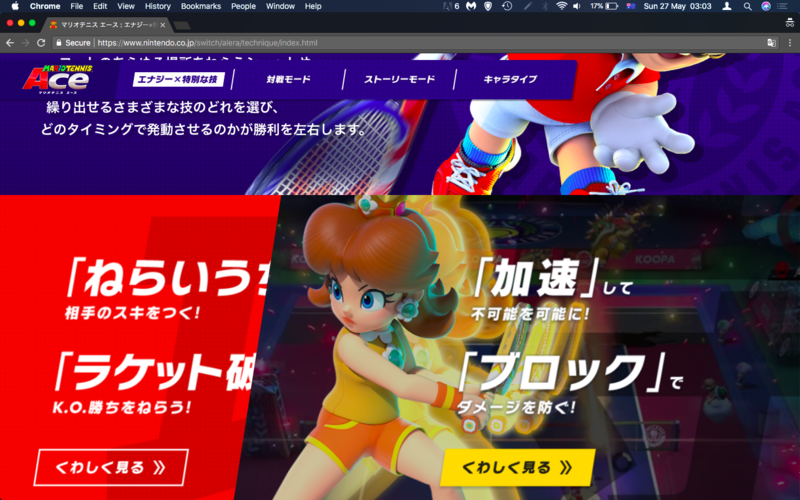 And five words mentioning two specific things that are changed is hardly a massive amount of detail; I also mentioned that her dress in Melee is also altered to more resemble Daisy's (I have also seen that the crown changes but is anyone perfect?). "The only information mentioned about the trophies is what the trophy is, not what pose she's in, what she's doing, or a bunch of what the trophy states." Describing most of that would be completely unnecessary, and, once again, if you want to see what the trophy says and the exact direction her left eye is looking, then you can look that up; that's what the Internet's for. And I meant the crown was different in that it was part of the "floral design" in Melee. Hello there. I would like to kindly ask you to not to undo my edits for Daisy's page , when it comes to her voice actress. During the first Mario Party 3 to 5 Daisy was indeed voiced by Jen Taylor , the difference is that Jen sounded higher pitched in MP3 and then she lowered her voice in 4 and 5 , it's not an uncredited voice actress. "arguments about how we don't say something like this for other characters as a defense against the information. But you can't apply this statement to other characters"
That specific information, sure. But if we keep listing the amount of appearances every character has and then say "aside from this other character", the information will go on forever on every character's page and would make it strenuous, excessive, and even more unnecessary. "Daisy appearing in so many video-games, especially with so many playable appearances, and being a female character, is the kind of thing they put in the Guinness world record books." Daisy's pretty common in the spin-off titles, it'd be more noteworthy if she was seen outside of a standard Nintendo game, like Mario, Luigi, and Peach. And is there actually anything in the Guinness books about Daisy? If so, then it might be noteworthy to add. Peach is a noteworthy female character that has appeared in several games because of her role. Daisy's role is supportive, at one point even acting as the game's Peach. "They may have even done so for Peach already if I recall." That's Peach. This is Daisy. Comparing the amount of games Daisy is in to Peach's amount of appearances is unnecessary, especially when Daisy has such a meager amount comparatively. "Uh, Peach has appeared in 97, actually. That's 17 more than Daisy, so that is no meager amount, comparatively." In that case, maybe say the correct number then? "80" is more than "60" after all. "It's odd to me you're now saying, "That's Peach. This is Daisy. Comparing the amount of games Daisy is in to Peach's amount of appearances is unnecessary," when your main argument against this was how we could then say this type of thing for other characters, but we couldn't, anyway." What I mean is that a comparison in general isn't necessary. Eighty is certainly impressive, but compared to Peach, it's second place at best. "Daisy is the one female video-game character in the world with the most video-game appearances... aside from Peach." "If Luigi had the most aside from Mario, that's significant, too." "Culture regards female videogame characters to an obviously different regard." Maybe, but in this day and age, female video game characters are not a new thing. Peach's information is even delegated to her trivia, and it's only there because of her starting appearance, her role, and the absolute fact that she has appeared in more video games than any other female character. Daisy does not have that distinction. "It's significant to Daisy because there are no other female characters aside from the obvious, Peach." Pauline, Birdo, Wendy O. Koopa, female Piantas, female Nokis, Rosalina, Hariet. And that's not including the spin-off titles. "It's not focusing on comparing her to Peach, though, so I don't know why you're focusing in on this in regards to other characters." "aside from Peach." Seems pretty focused to me. No, it appears we do not. As I said above, post something on her talk page or maybe respond to Baby Luigi's topic that is already there. She has a name, you know. No need to be rude. "Is there actually anything wrong with stating how many games she's been in so far?" Not in and of itself. Perhaps there is a different way to word it, but again, why just Daisy? Why don't we put how many games every character has been in on their pages? In theory, it seems like good information to have in an infobox section maybe, but again, it should be discussed. Sure, I have some minutes to kill before I go to bed. "I don't follow? What are you getting those numbers from?" Uh, the 60 is from the statement in question, whereas the 80 is from your numbers mentioned above. 97 games Peach has appeared in minus the difference of 17 games that Daisy is not in equals the total of 80 that Daisy appears in. "No other female characters with that many appearances, obviously. Not even just Mario characters, either. All video game characters." Alright, I'll give you that. "That's not me being rude, that's me not recalling that other user's name. No need to micromanage intentions like that." Apologies. Baby Luigi and I on Discord both thought that was you being angry at her. I'll apologize for the both of us if that is not the case. Page history is a thing, though. "That part of it is simple information that would be a part of her intro section. It doesn't have to be some approved guideline followed on everyone's page." It both does and it doesn't. Luigi has appeared in more games than Daisy, Peach has appeared in more games than Luigi, and Mario has appeared in more games than Peach. If we're going to include this information, then it shouldn't be a situation unique to Daisy as that seems arbitrary. "I'm not here to start a proposal to reformat the wiki. I used to do that all the time and it's always more trouble than it's worth." Hey, you never know until you try. I have a few failed and cancelled proposals myself. It's just meant to serve as a way to get opinions, and if it actually goes through, then yay! "hopefully it's fine that I add it back in without the latter part you two have focused in on so intently." I'll say this again, it should be a discussion first. Not just with me, but with the community. Talk about the pros and cons of this situation and see what other users have to say on this matter. Doesn't have to be a proposal, just a simple discussion. If you do end up doing this, be sure to link to our discussion here on both our talk pages so other users have a better reference for the topic. "With the frequent release of Mario installments,"
This is relevant because why? Mario games are released frequently anyway. "Daisy has been in over 60 video games so far,"
So has a majority of the main cast of characters in the Mario series. Daisy isn't unique in this regard. "the most of any female character besides Princess Peach." Herein lies the major issue: the comparison. She may be the second most reoccurring female video game character (maybe), but the problem here is "second most". I may just be repeating myself, but anything other than the actual record holder is unnecessary. We don't give these numbers on Luigi's page, or Bowser's page, or Amy Rose's page, or Chun-Li's page. All four of those examples have appeared in a plethora of titles, but only Mario's and Peach's records hold any relevancy. Overall, this information isn't false or invalid, but the way it is worded and presented makes it irrelevant due to the added exception of Princess Peach. A comparison isn't needed, not even it being in sentence form is needed. A simple number in the character infobox could maybe possibly work, though anyone can look at the table of appearances at the bottom of their pages, but I'll leave that to you to decide if you feel like going through with that discussion or not. Image You probably didn't see that coming. Please consider the above information before uploading more files. Keep in mind some files can belong to multiple categories. Don't put images into media categories and vise-versa. If you continue uploading files without categorizing them correctly, then a warning will be issued. Thank you for reading, and keep contributing. This page was last edited on October 14, 2018, at 03:41.